Following the attack on Pearl Harbor, the Masuda Family, owners of the Wanto Grocery, posted a sign on their business that said "I AM AN AMERICAN" at their business, 401 8th Street and Franklin Street in Oakland, California. After the relocation order 9066 was signed by US President Franklin D. Roosevelt, the Masudas were forced to sell and were interned. NARA Caption: Oakland, California. Following evacuation orders, this store, at 13th and Franklin Streets, was closed. 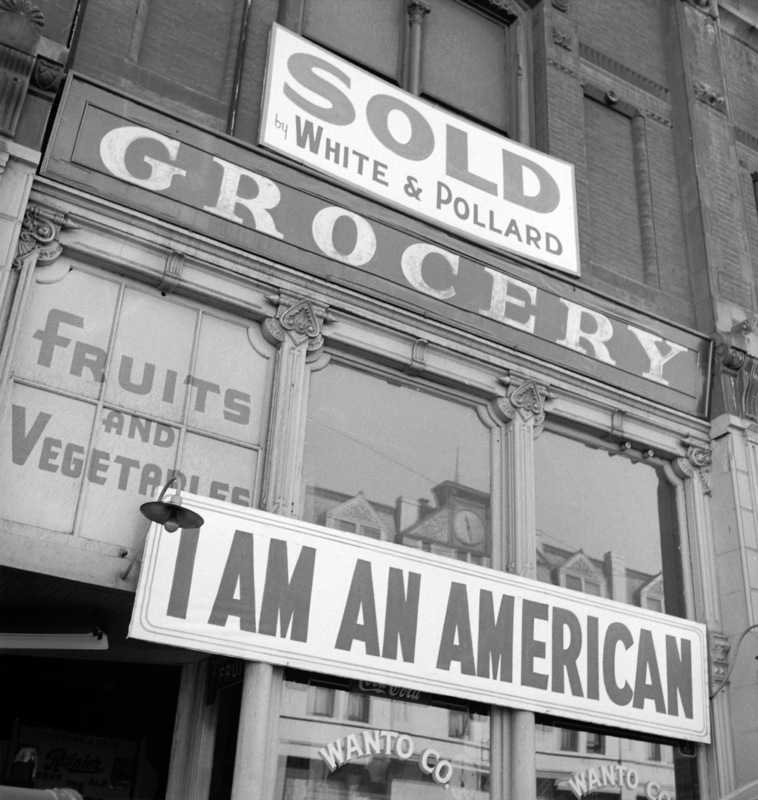 The owner, a University of California graduate of Japanese descent, placed the "I AM AN AMERICAN" sign on the store front on Dec. 8, the day after Pearl Harbor. Evacuees of Japanese ancestry will be housed in War Relocation Authority centers for the duration.